Every person has different skin type and each of them has particular features of skin which depend on the genetics. The oily skin features extreme formation of sebum due to hyperactivity of the sebaceous glands. The most common area for the accumulation of oil is called the “T-zone,” an area including the forehead, nose and chin. It is most important to cleanse and moisturize the skin based on your skin type that helps to keep your skin hydrated. 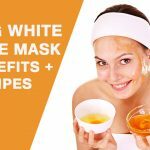 Here are a few recipes for homemade face masks for oily skin and how to stay away from the presence of sebum that can cause other health problems in the skin such as acne, blackheads and pimples. Boil and crush the potatoes. Mix with two tablespoons of milk. Add one tablespoon of oatmeal and a few drops of lemon. Wash off with warm water to remove completely. 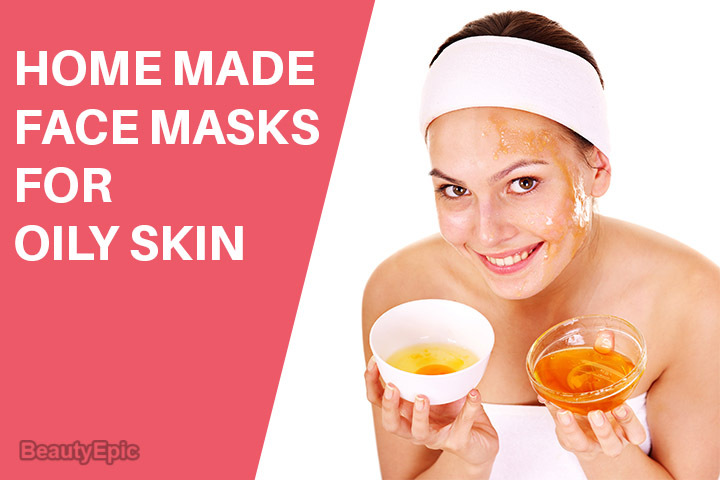 Note: While applying the mask for oily skin, do not expose yourself to the sun as it can cause burns and stains. The oat cereal is extremely moisturizing, that awesomely helps to control oily skin. Take 4 tablespoons of oat flour with 3 tablespoons of soy oil soup in a bowl. Mix the combination until smooth and consistent. Honey has several benefits for the skin that complete moisturize your skin and make it smooth and soft. Mix two tablespoons of honey with one teaspoon of wheat germ soup in a container. Heat for a few seconds in the microwave. Wash off your face with plenty of water. Add a tablespoon of honey and egg yolk. Then add all the ingredients in a bowl. Apply a thick layer on the skin to cover each area. Mix half a lemon juice with a beaten egg before. Wash off with enough water. Note: Try to apply this mask at night and do not leave any deposit on your face or neck, because the lemon, as we have said, in contact with sunlight, this often causes skin blemishes. The cucumber is rich source of vitamins. It is very effective and natural in moisturizing harsh skin. It helps to clean impurities from the skin and control the amount of fat. Take 1 peeled cucumber and cut into small pieces. Just put the sliced cucumber in 1 egg and add 1 tablespoon lemon juice. Crush and mix until its grind completely and get a homogeneous and smooth mixture. Apply the mask for oily skin on your face. Remove it by washing with water. Note: Be careful when using the lemon as it can be a little harsh on the skin. Both ingredients are superb for skin health, both you can consume or use externally. Mix with 4 teaspoons honey.